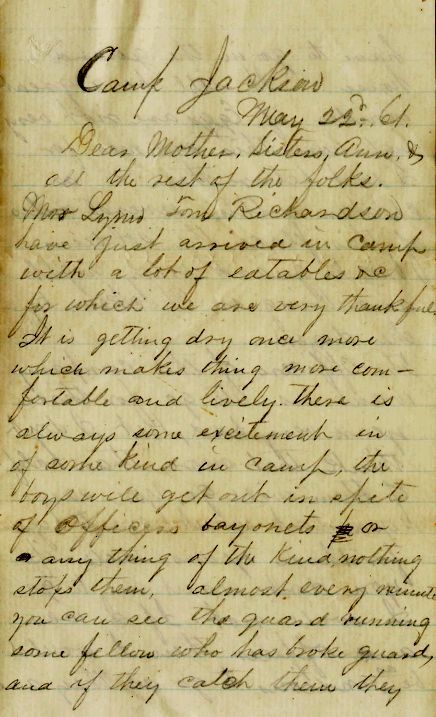 This letter was written from Camp Jackson in Columbus, Ohio, where most Ohio troops were gathered, regiments formed and assigned to duty both at the start and throughout the war. 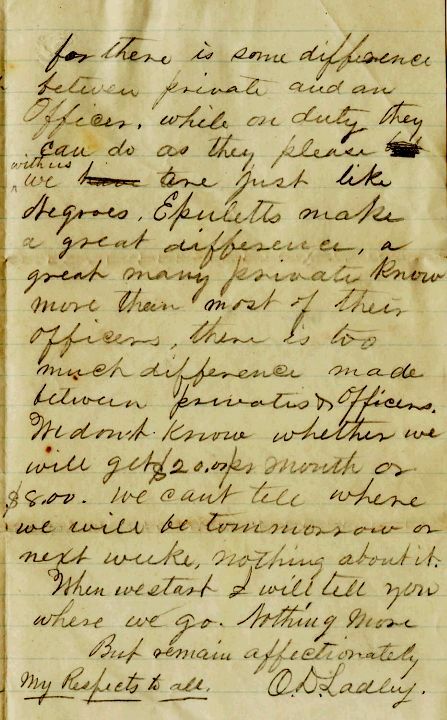 It was written while the 90-day 16th Ohio was training and preparing to go to war. Dear Mother, Sisters, Ann, & all the rest of the folks. have to go in the guard house. It will be a great wonder if Eggs are not very high here this summer for I don't believe there is a chicken within several miles of this place. 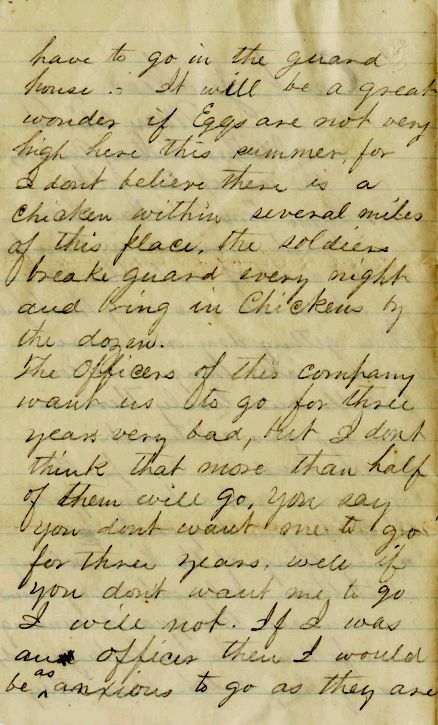 The soldiers break guard every night and bring in Chickens by the dozen. for there is some difference between private and an Officer. while on duty they can do as they please with us. We are just like Negroes. Epuletts make a great difference. a great many private know more than most of their officers. there is too much difference made between privates & Officers. We don't know whether we will get $20.00 per month or $8.00. We cant tell where we will be tomorrow or next week. nothing about it. When we start I will tell you where we go. Nothing more. My Respects to all. O.D. Ladley.